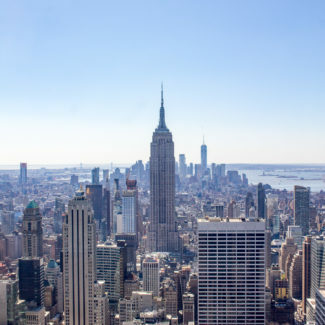 Jerry Seinfeld, Liz Lemon, Grace Adler, and Will Truman are some of the most famous fictional residents of the Upper West Side. 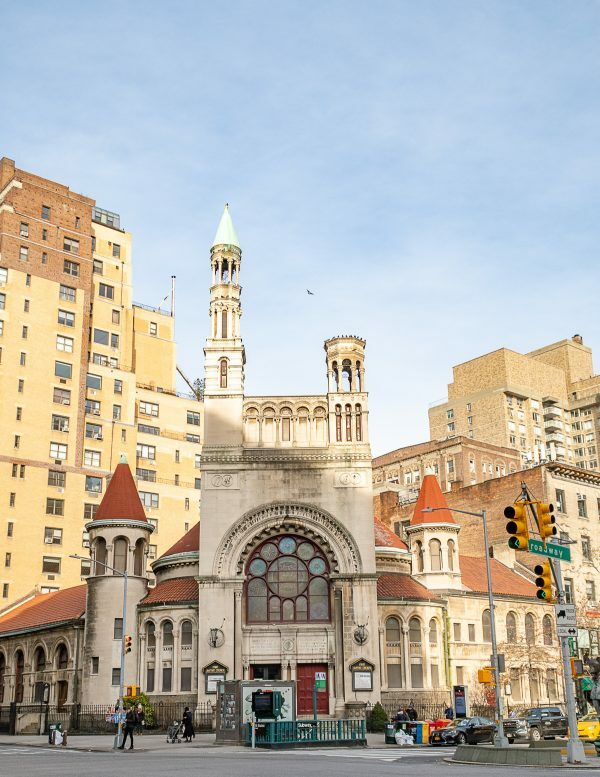 It is neighborhood is where Mrs. Maisel and her family lived, and where one of the show’s stars, Tony Shaloub, currently lives. Some more famous real life Upper West Side residents include John Lennon, Diane Keaton, and Fred Astaire. The neighborhood is depicted as it is: approachable, residential, and full of history and tradition. The Upper West Side has charm in that it isn’t as much of a tourist destination as the Upper East Side. You feel like you are experiencing the city more like a local. 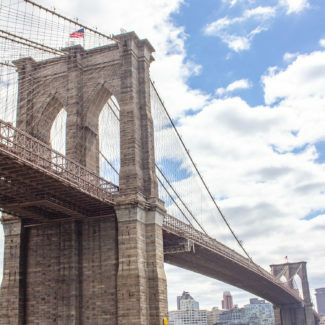 This guide of what to do in the Upper West Side is split into the following categories: museums, parks, architectural landmarks, other things to do, and restaurants. 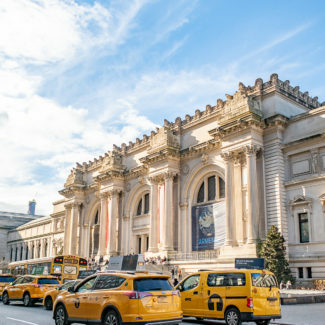 Many of the neighborhood’s top attractions are clustered together near 80th Street, making it easy to see several museums and sites in one day. 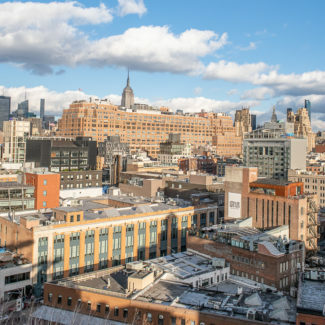 This museum focuses on sharing New York’s history through a mix of special exhibitions and a permanent collection that touches on topics including race in America and women’s rights. The museum is educational and aimed at visitors of all ages. 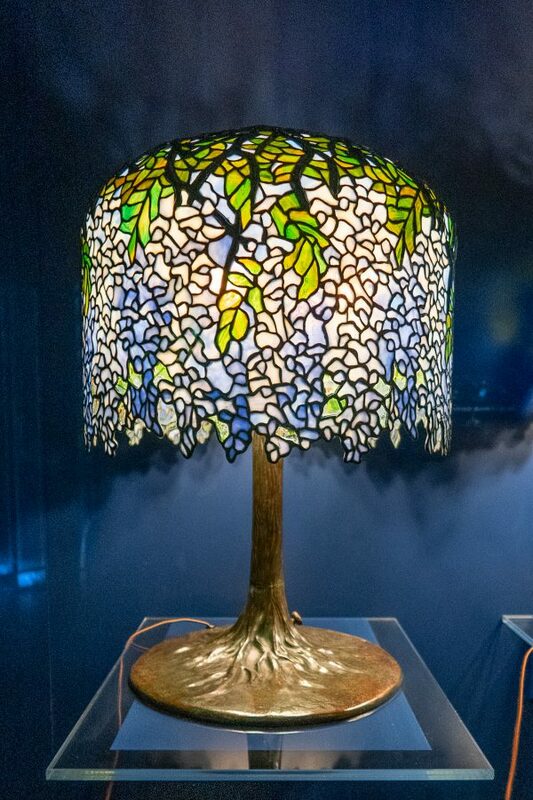 If you visit, make sure that you see the large collection of Tiffany lamps which is permanently on display. 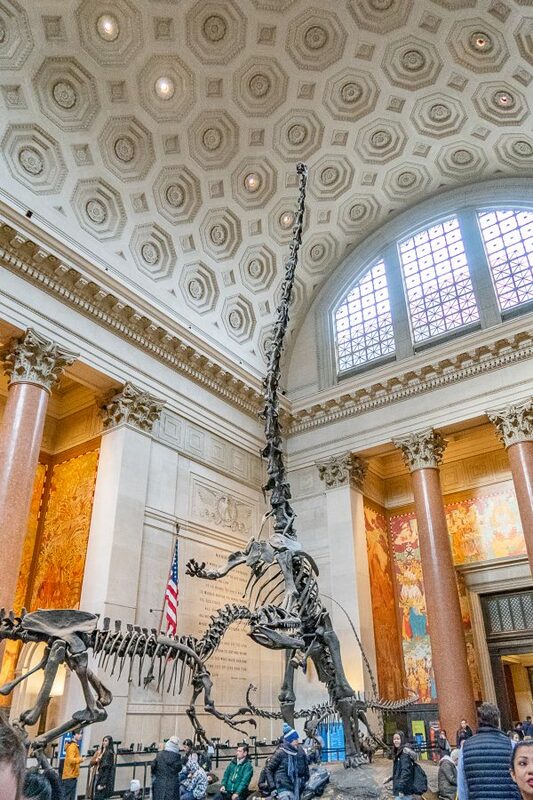 An absolutely massive museums is equally fun for kids and adults. Dozens of dioramas show land mammals from all across the world in their natural habitats. You will stare in awe of gigantic dinosaur skeletons, and you will learn about far away and ancient civilizations. The museum balances fun and education and is an easy place to spend half a day. 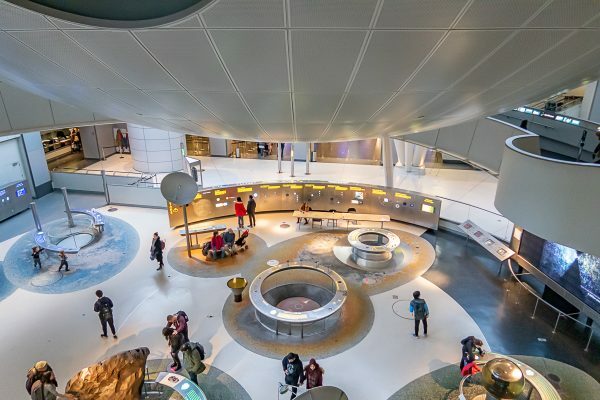 A separate section of the American Museum of Natural History, that is included in the ticket price, the Rose Center includes the Hayden Planetarium and exhibits that explain the Big Bang. The folk art museum is devoted to showing the work of American self-taught artists. Folk Art is considered to be a uniquely American artistic style, and it is closely tied to the history of our nation. Folk Art is often overlooked and this museum is the best place to learn more about it. The Upper West Side is sandwiched between Riverside Park in West and Central Park in the East. 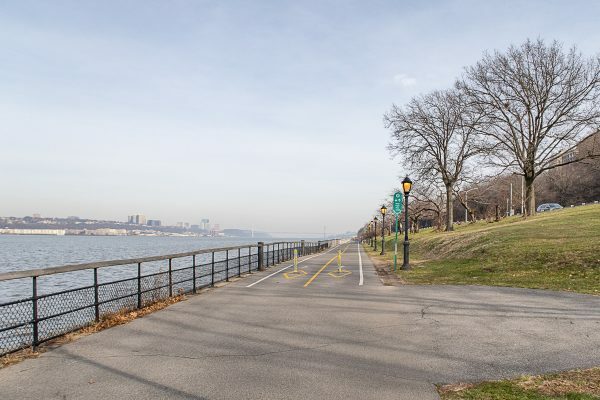 Riverside Park stretches alongside the Hudson River for for 4 miles from 72nd Street to 158th Street. 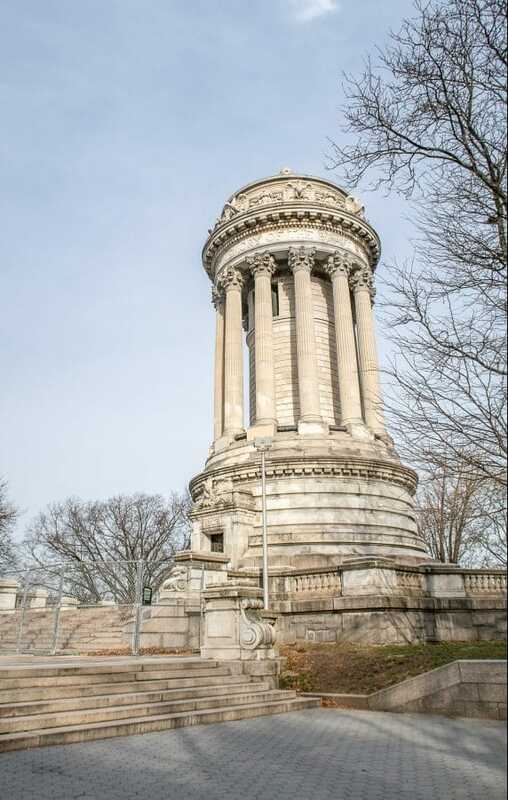 A monument to the Union soldiers and sailors who served during the Civil War located within Riverside Park on 89th Street and Riverside Drive. 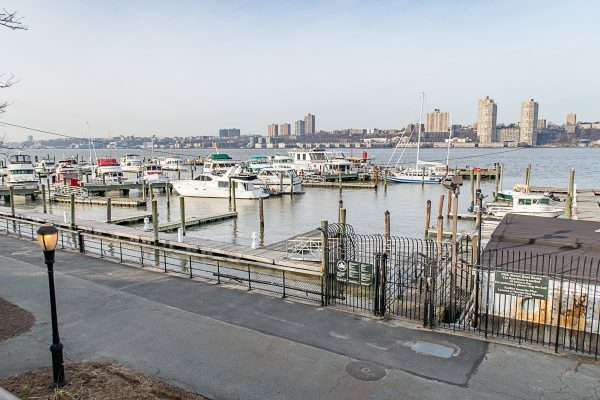 Located within Riverside Park, this spot where boats are docks has a restaurant with a large terrace where you can dine outside during the warmer months. Manhattan’s largest park makes up the Eastern border of the Upper West Side. 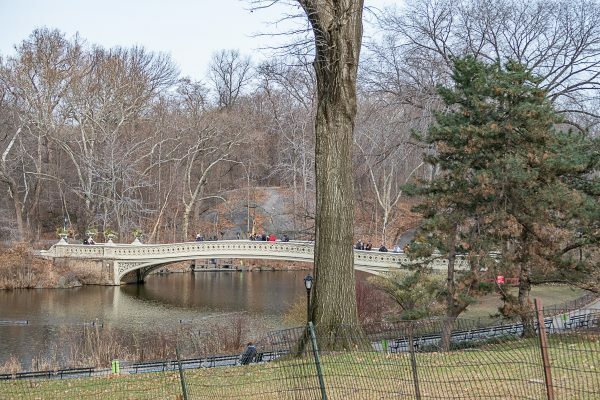 You will find landmarks like Belvedere Castle and Bow Bridge on the West Side of Central Park. This section of Central Park is a memorial to John Lennon was named after one of his favorite songs, “Strawberry Fields Forever”. 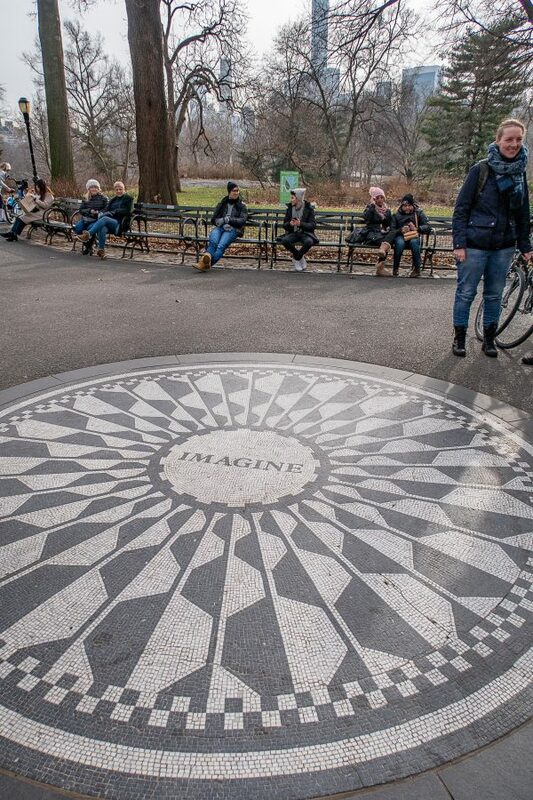 Strawberry Fields is a designated Quiet Zone, and it features a mosaic that says “Imagine”. This residential building and architectural landmark built in 1884 was where John Lennon lived and where he was shot. 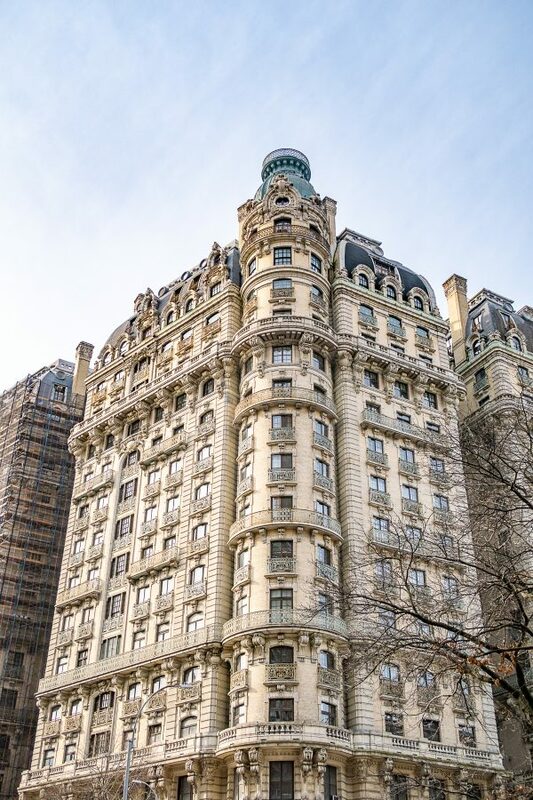 The Dakota is on 72nd Street overlooking Central Park and it is one of the most desirable addresses in New York City. The building originally had 65 units ranging in size from 4 rooms to 20 rooms. The architectural style is referred to as German Renaissance, since it doesn’t stick to a specific architectural style, instead of blends together elements of French, German, and Gothic architecture. 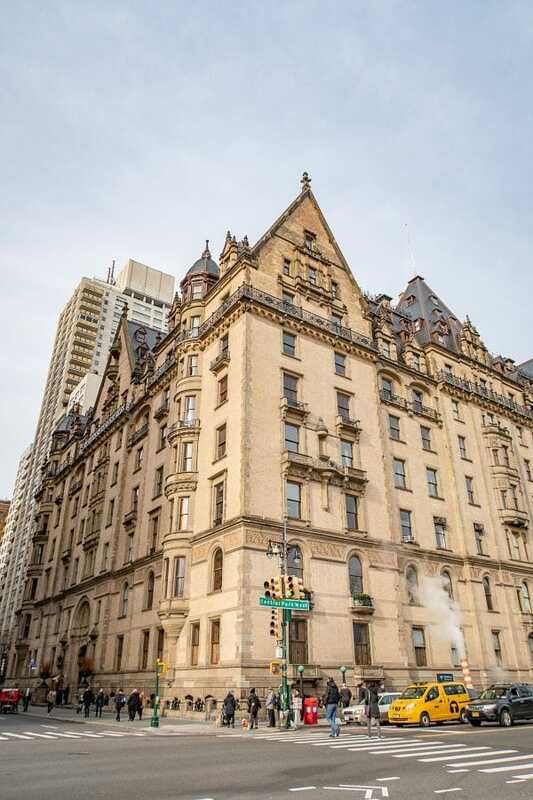 Crazy fact: it is called The Dakota because Upper Manhattan was so under developed at the time it was built that people equated it to being as remote as the Dakota Territory. 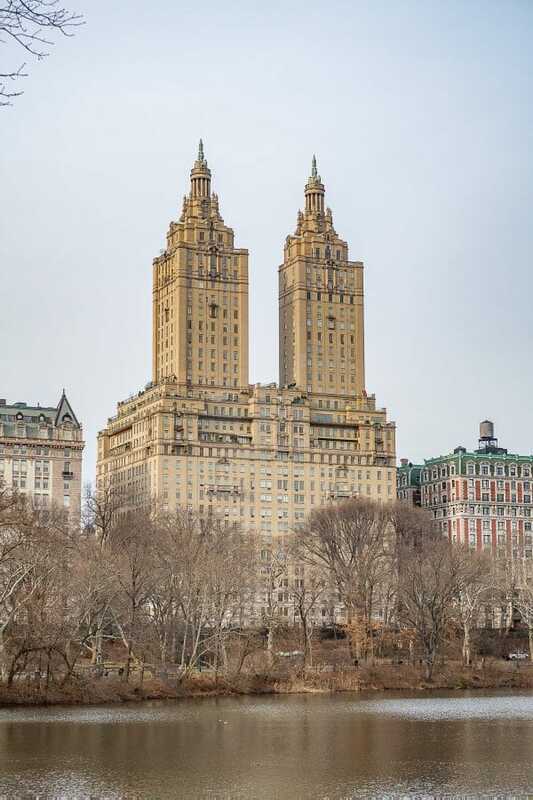 A Beaux-Arts style building with twin towers overlooking Central Park. Diane Keaton owned a full floor, 3 bedroom and 3 bathroom, unit in the building which she listed for sale for $17.5 million. Over the years Mary Tyler Moore, Steven Spielberg, and Bono have lived at the address. Madonna tried to purchase a unit in the building in the 80s, but the condo board didn’t give her approval. 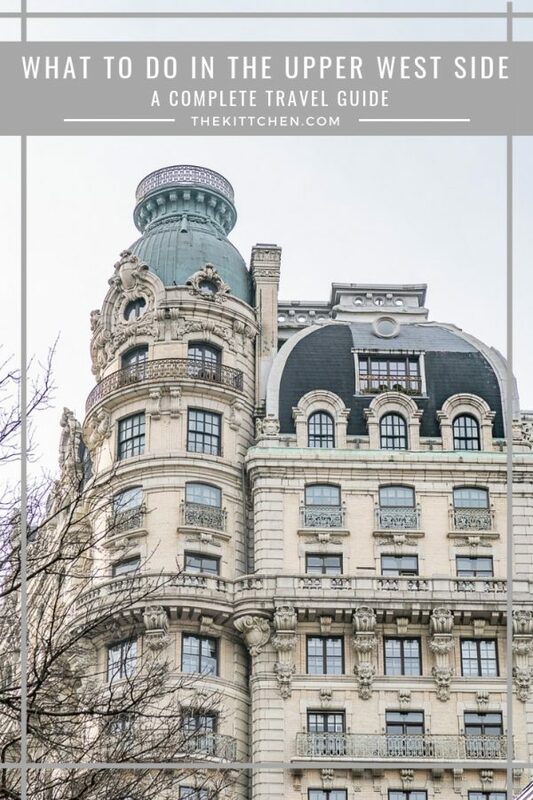 Built in 1904, this building on Broadway between 73rd and 74th Streets looks like to belongs in Paris with this Beaux-Arts architecture and mansard roof. Originally the building was filled with large apartments, but over the years they have been divided up and many are studios and one bedrooms. When the building opened it had a farm on the roof which housed 500 chickens, and fresh eggs were delivered to residents daily. Babe Ruth used to live there! 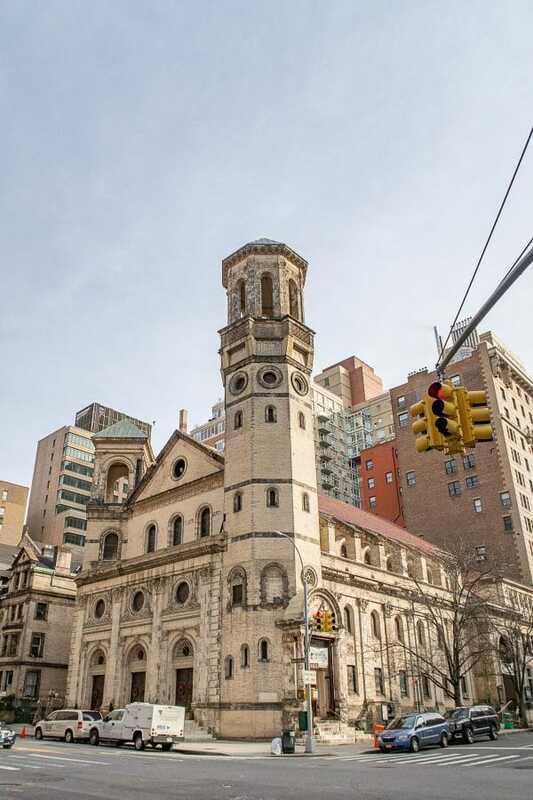 This Italian Romanesque Revival church on the corner of Broadway on 79th Street was built in 1894. The unequal towers of the church are symbolic of Christ as the head of the church and his future return. The unfinished tower will remained unfinished until the return of Christ. The architect was George Keister who later designed the Apollo Theater. Granted landmark status in 1981, this church opened in 1897. Like the First Baptist Church, St. Paul and St. Andrew United Methodist Church has uneven towers. The church blends Romanesque architectural elements with decorative details like Corinthian pilasters that are indicative of the Renaissance style that was popular at the time the church was designed. In the late 1980s the church tried to go to the Supreme Court to have the building’s landmark status revoked so that it could be redeveloped, the Supreme Court refused to hear the case and the landmark status still stands, as does the church. Lincoln center is devoted to showcasing dance, music, film, opera, and theater through a busy calendar of events and performances. The Lincoln Center campus includes 30 facilities, each with a separate box office. Be sure to check the Lincoln Center website for information about free events. Part of the Lincoln Center for the Performing Arts, The Met Opera is the largest classical music organization in America. The opera season is from September to May and during that time The Met Opera presents about 25 operas and hosts over 200 performances. Most works are performed in their original language, but a subtitle system is available to translate foreign language opera into English. Also part of Lincoln Center, the New York Philharmonic is America’s oldest symphony orchestra. In addition to performing symphony’s they also put on concerts for children and tickets are available for the open rehearsals (just $22). Again, part of Lincoln Center, the New York Ballet performs new works that the company has developed in addition to well known ballets. Each December the New York Ballet combines forces with the School of American Ballet to perform The Nutcracker. The Beacon Theatre hosts music and comedy events with performers ranging from Jerry Seinfeld to musicians like Kacey Musgraves. Jerry Seinfeld currently has a residency at the theatre which is running until June 2019. 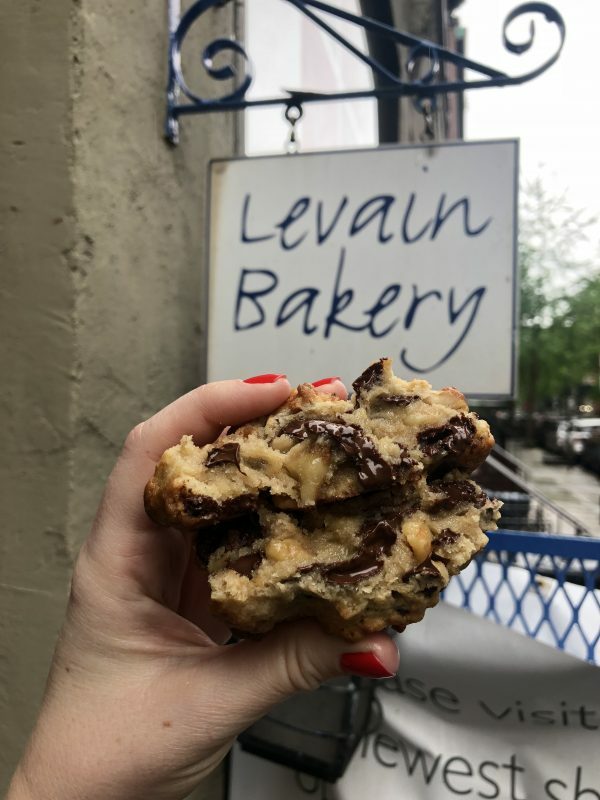 This bakery is famous for their chocolate chip cookies that seem to defy all logic by being simultaneously soft and crunchy. This Southern comfort food restaurant is known for their brunch, and their bloody mary. The Upper West Side location of the famed Upper East Side burger joint. A vegan restaurant with a menu so enticing that you may not even notice that everything is plant-based. A French brasserie with all the standards like moules frites, steak frites, and risotto. 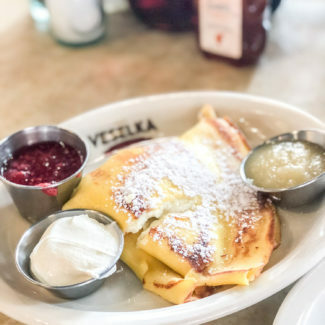 Specializing in modern Chinese cuisine, you will find things like black truffle chicken soup dumplings, egg rolls with Katz’s pastrami, and scallion pancakes with bacon on the menu. Christina Tosi’s famed bakery has a location on Columbus Avenue and 87th Street. Try the cereal milk ice cream or the crack pie. The spot for a hot dog. The last remaining Gray’s Papaya location is on Broadway between 71st Street and 72nd Street. A single hot dog is just $1.25 – probably the cheapest meal in the city. A red sauce Italian joint with an extensive menu of sandwiches. Their happy hour has $1.25 East Coast oysters. Beyond happy hour the menu has items like classic New England clam chowder, crab cakes, lobster rolls, and Maine mussels. The restaurant has been serving up traditional Mexican cuisine for 20 years. The menu has tacos and Mexican street food staples like quesadillas and sopes. One of the things that I love about the neighborhood is the grocery stores. 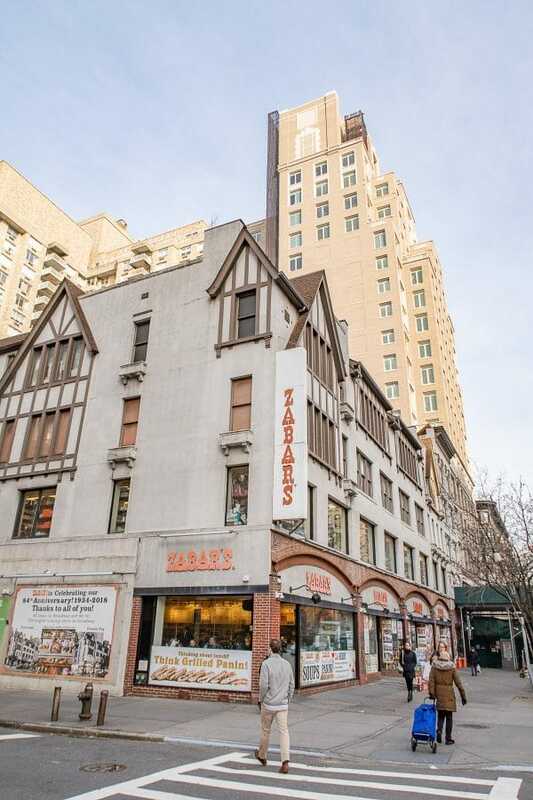 You will find Zabar’s, Fairway, and Citarella all near each other in the Upper West Side. These aren’t just grocery stores, they have their own restaurants with very reasonable prices. So sit down and eat, or grab something from the deli counter and have a picnic in the park. We need to talk about the cheese section. It’s remarkable. In addition to being a complete grocery store, there is a cafe next door on the corner of 80th and Broadway. The cafe has the feel of an old school diner, and is known for serving up breakfast items, paninis, and coffee. The Fairway Cafe not the second floor above the grocery store gained fame when Jerry Seinfeld and Alec Baldwin visited on an episode of Comedians in Cars Getting Coffee. The cafe is one of the best places for an affordable meal in Manhattan. They serve all day long from 8am-9:30pm. 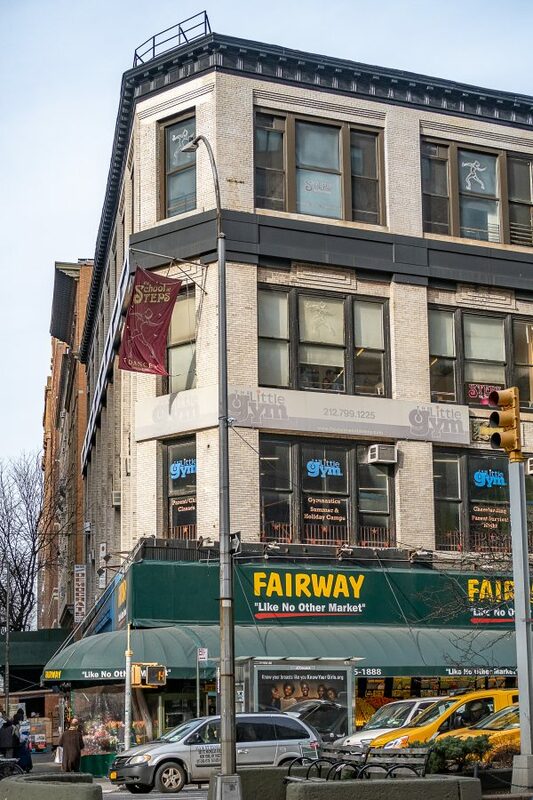 Located right next to Fairway, Citarella has been on the corner of Broadway and 75th Street since 1912. 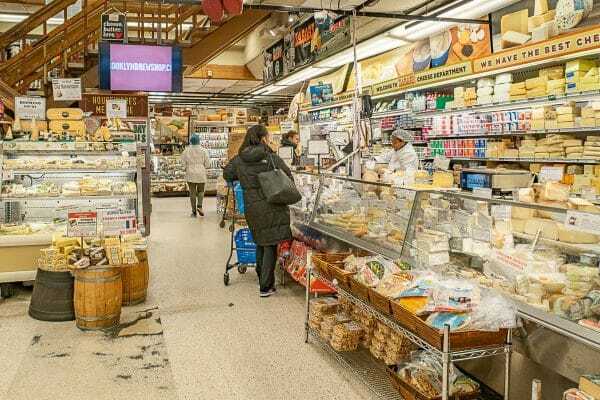 While Citarella doesn’t have a cafe like Zabar’s and Fairway, they are known for their seafood selection and they sell house made sushi. 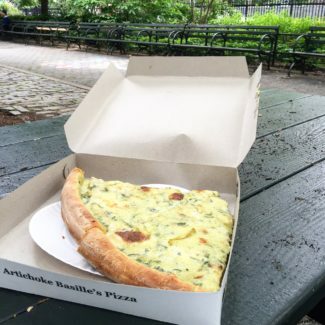 Have you spent much time on the Upper West Side? 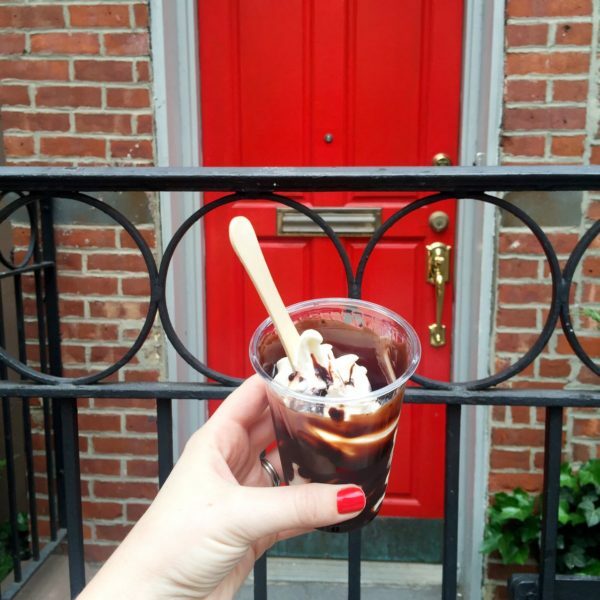 Would you add anything to this guide of what to do on the Upper West Side? Let me know in the comments!